You’ve just taken a huge step: you finally started. You put together a fast, responsive WordPress site with a great UI and eye-catching visual design. You’ve already written thousands of words of valuable, in-depth content. Your journey to affiliate marketing success is well underway. But there’s one problem: you have no idea how to get backlinks for your site. Your on-page SEO is solid as a rock, and your keyword targeting is on-point. But without backlinks, you don’t have a chance at competing with the big guys who already dominate the first page. Link building is challenging, and it can get expensive, too. While Google does discourage the practice of buying links, it’s a fact of life out there in the real world. Even if you’re not paying outright for a backlink from a journalist, or for a guest post on a relevant site, you’re still paying for it in time and energy. So how do you build backlinks for a brand new website, with no budget to speak of? The good news is, it’s doable. In a recent blog post, marketing guru Neil Patel breaks down how you can start getting links without spending a dime. So what’s the secret? It’s all about emphasizing value. If you’ve ever worked on a link strategy, you’ve probably sent out link requests. The idea is simple––just ask a site for a backlink. It’s the most direct way to get new links, and when it works, it’s super convenient.But there’s a problem. This isn’t a perfect strategy. Often, these requests get lost in a flood of emails. It’s easy to understand when you think about the fact that the average person receives 88 emails a day. Sometimes, your request will get ignored because it’s not a high priority. Other times, your request will get flat-out denied. You’ll get a response, but it won’t be the kind of response you want. You have to create a backlink request that is impossible to ignore or turn down. I know that doesn’t seem like an easy job, but once you know what site owners are looking for, it gets a lot easier. 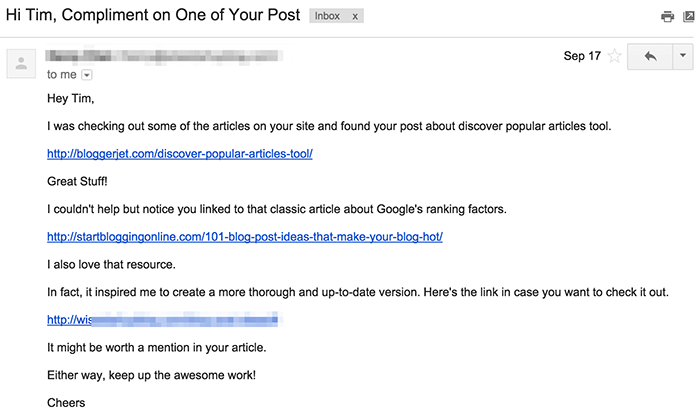 And if you care about getting high-quality links, you absolutely need to know how to write a good link request pitch. It’s a valuable skill for any SEO or marketer to learn. I’m going to break down the process of creating a link request that will work for you and help you get new authority links. This will work no matter what niche you’re in and no matter how big your site is. Here’s the unfair truth about getting links. Some sites that aren’t the best get links just because they can pitch themselves well. And that means there are tons of sites that deserve links because they have awesome content. But not all of these sites create good pitches, so they don’t get links. I know it’s not fair, but unfortunately, that’s how it is. The main point here is that sites won’t give backlinks to anyone with a URL. As someone who runs several blogs, I can attest to that. I do often give backlinks, but I’m choosy. I personally consider both the pitch and the article or site in question, but I know many people don’t. That’s why you have to nail your pitch. We’ll go into why exactly this works in just a second.But first, I want to explain what site owners (like me!) are looking for in a pitch. What benefits does the site get? 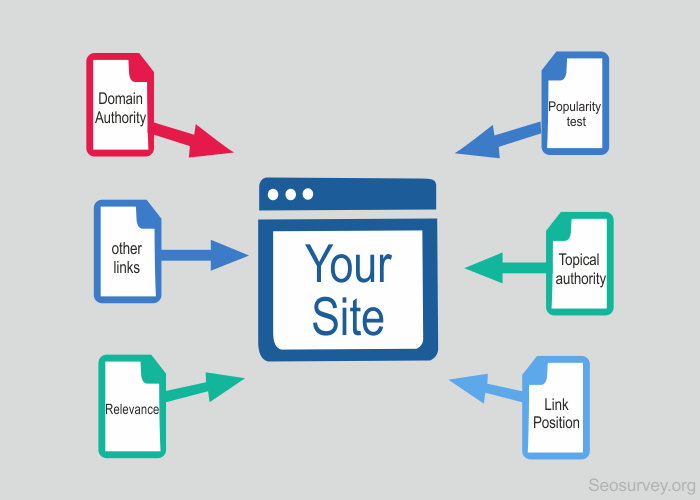 The reason why any blog accepts backlinks is ultimately to help themselves out. Getting backlinks right is crucial for a great link building strategy, so almost every site wants to have the best links. To get a link, you have to tell the site owner what benefits they will get.This is a huge deal. You cannot afford to ignore this if you are serious about getting lots of high-quality links to your site. Here’s a little secret: Most sites are looking for the same benefits. If you know what most people are out for, your chances of getting links will skyrocket. Like I said, every site is always looking for high-quality content to link to. The trick is to convince sites that your content is what they’re after. You can read more about clever tactics for backlinks building on a budget over at Neil Patel’s blog. He goes into more detail about how to craft content that other sites simply can’t resist, so check it out.